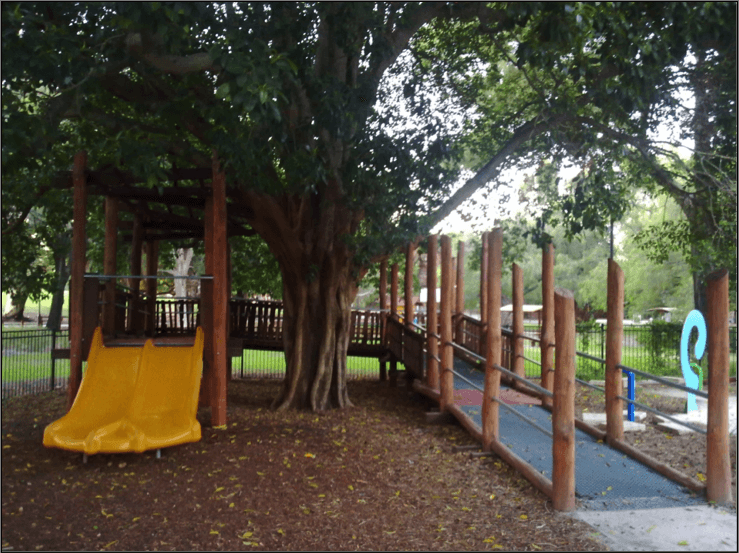 Mueller Park Playspace is clean, fun, fresh and imaginative for all ages, but we love it especially for its safety, accessibility and appeal to toddlers. It is easily accessible from the train (Fremantle line, West Leederville stop), but parking can sometimes prove challenging. 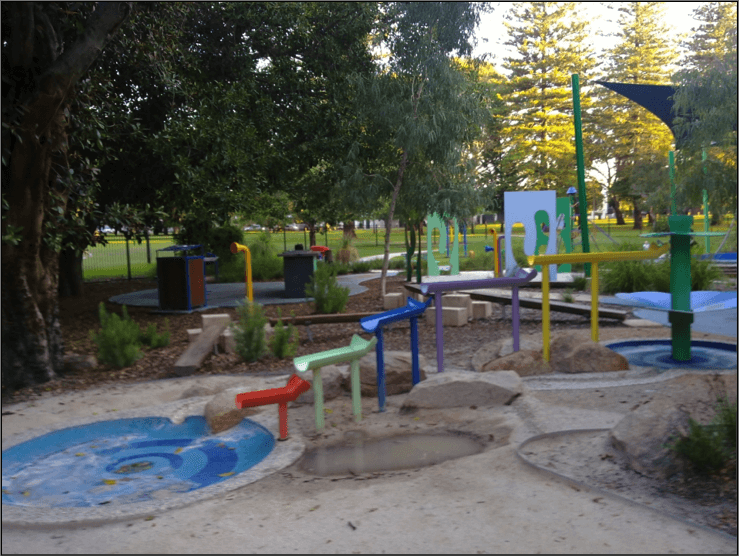 Mueller Park Playspace was commissioned in 2009 as an initiative to improve facilities for children with disabilities. Equal access is catered for through the inclusion of “activities and spaces that allow the exploration of the physical world through the use of sight, touch, sound and smell”. Specialised play equipment was included for use by children with a range of abilities. 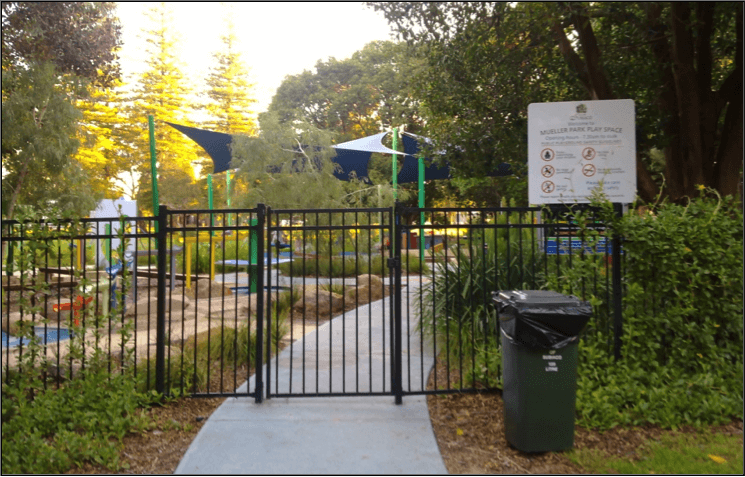 Mueller Park playground is fully fenced and gated which is always a big plus for parents who have toddlers who love to bolt! Slides, climbing areas and musical activity stations are all at a great height for the little people with no dangerous gaps for them to fall out of. Don’t forget to take a spare change of clothes with you as there is a water play area within the park which no toddler seems able to resist! The park features a fully enclosed tree walk where little people can walk around to find a double slide at the top. 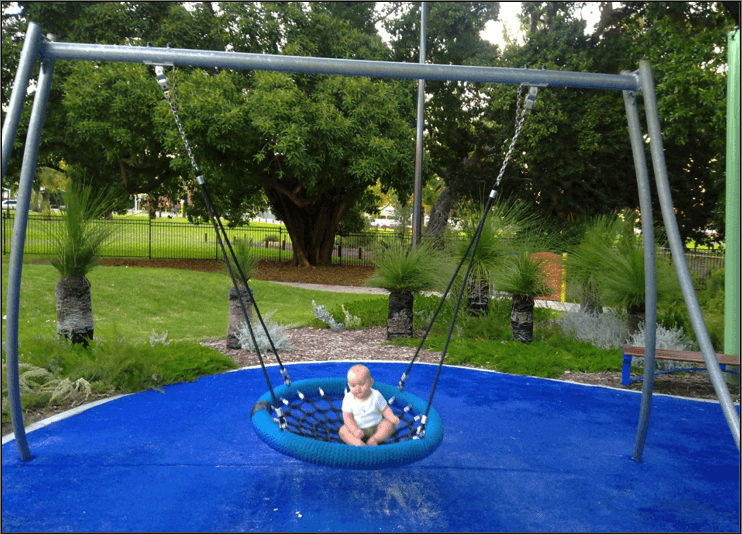 All kids love the big circular swing! 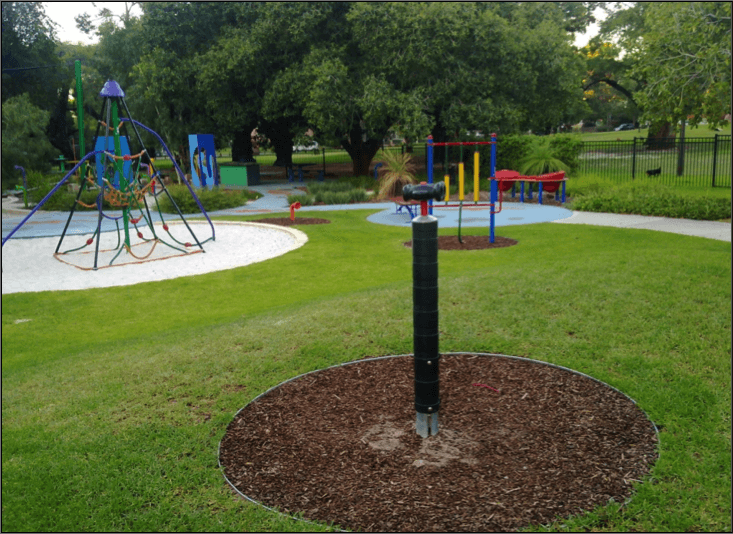 Throughout Mueller Park there is a musical theme to the play equipment which features a giant upright xylophone, speaker pipes that project your child’s voice and some great jungle drums. 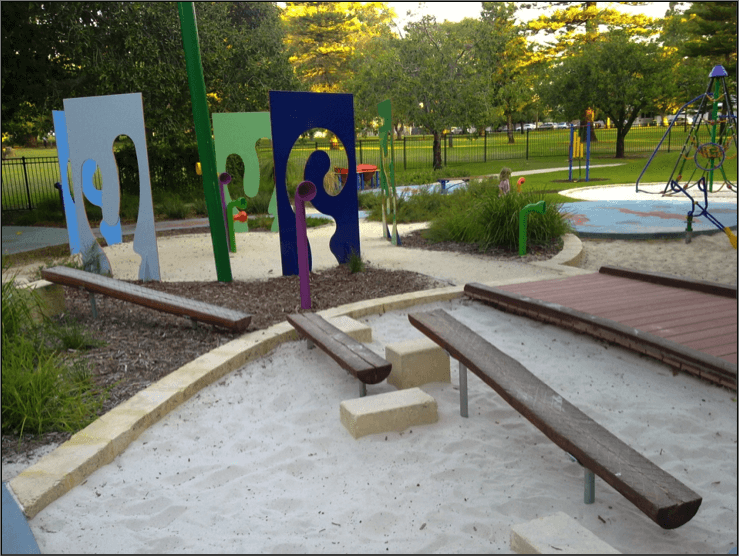 There’s a great sandpit area in addition to some well-placed picnic benches and a couple of BBQs. There is no public toilet in the enclosure, but there an Exeloo complete with baby change facilities in Kitchener Park that this playground lives within. Jennie McNichol is the co-founder of Buggybuddys. She moved to Perth in 2010 after 11 years of living in London, working in television for the BBC. 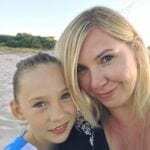 She is the mother of two daughters aged 10 and 8 and loves the family-friendly lifestyle that Perth has to offer.